Stephan Meyer advises FinTech clients and specializes in the legal and regulatory implementation of blockchain-projects. 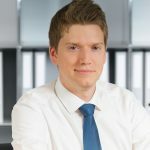 After multiple years of working with an insurance company as well as foreign studies in Paris and London he has been a core team member of an interdisciplinary Swiss National Science Foundation research project on the regulation of virtual currencies at ZHAW School of Management and Law. In addition to his work with MME, Stephan is a PhD candidate researching on the private and securities law qualification of crypto tokens at University of Zurich, a lecturer in blockchain & law at ZHAW School of Engineering and a founding member of the European thinkBLOCKtank in Luxemburg.